This photo taken by Roberto Di Sena, who was formerly with the Brazilian military. He took the photos in the morning on November 26, 2006, in a town called Alagamar, which is outside the city of Natal, in the Brazilian state of Rio Grande no Norte. 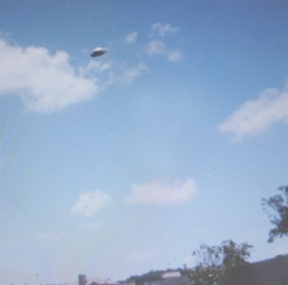 Brazil has had continued sighting both by government leaders, pilots and civilians since the 1950s.